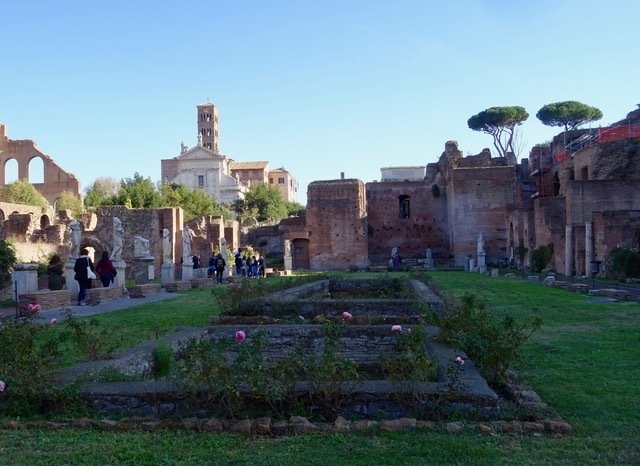 Today we visit the Forum. 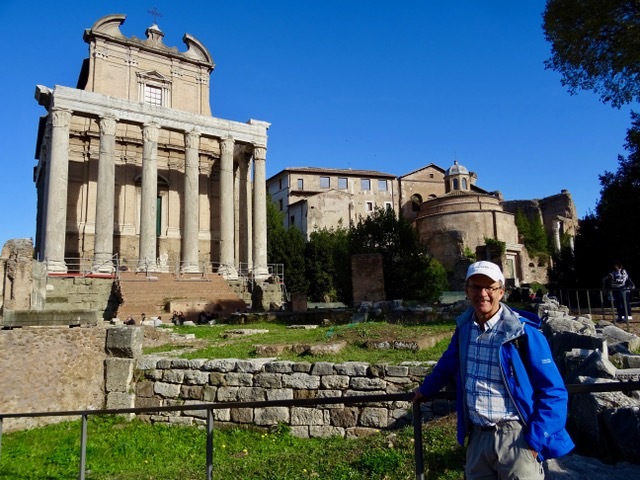 On the way to finding a spot for a view over the Forum we visited the Basilica San Maria in Aracoeli. There were chandeliers everywhere and while we were there the chandeliers were turned on…just for me! 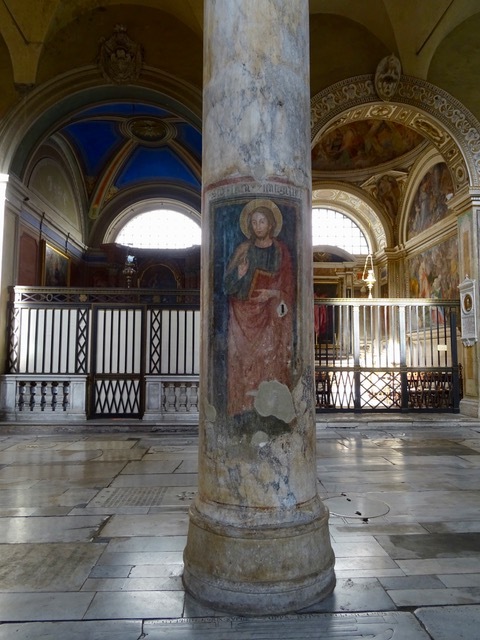 This painting on the pillar looks very old. 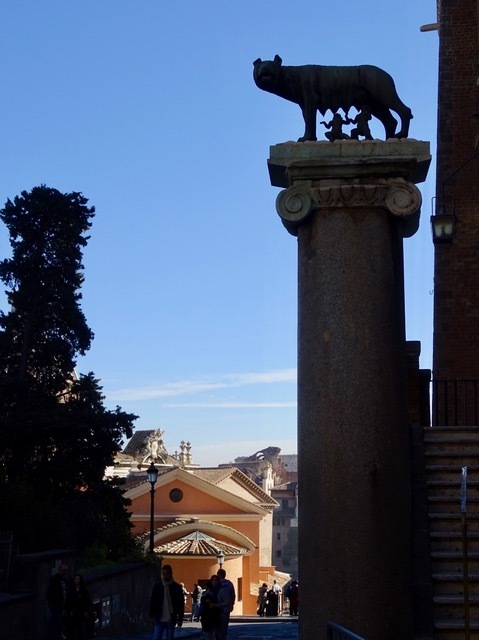 As we make our way to the Forum entrance I spot Romulus and Remus. 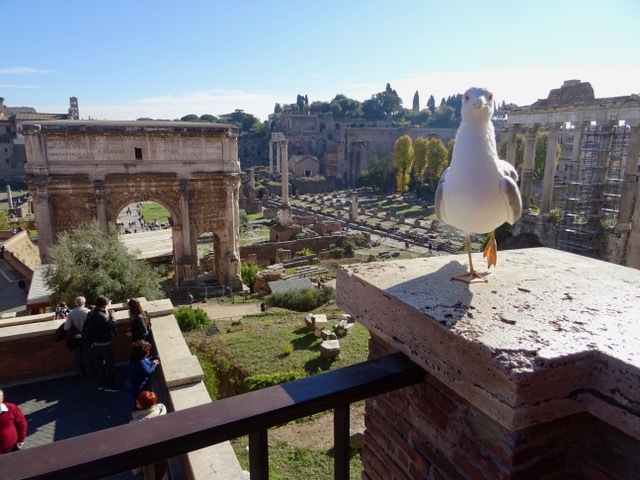 We finally find a place to overlook the Forum while this fine feathered fellow takes a good look at us. 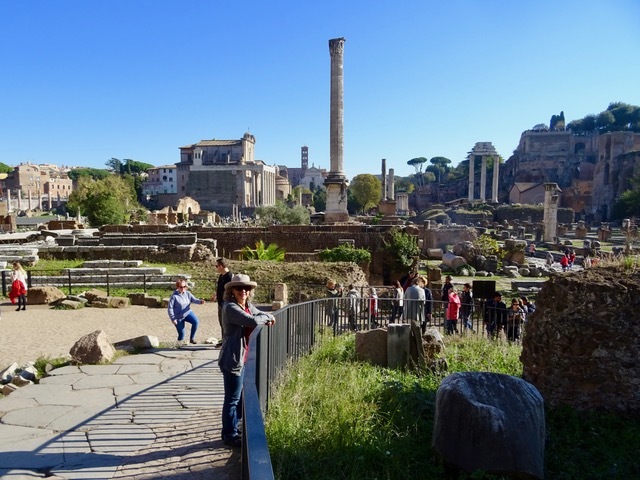 There is a lot to see here, so just walk along with us. 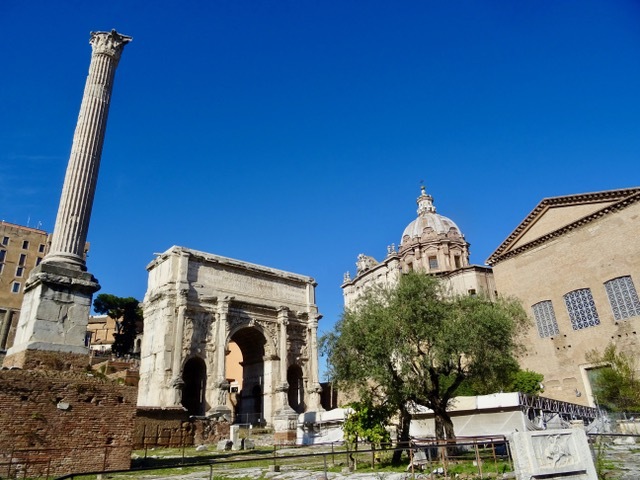 Looking back towards the entrance and the Arch of Septimius Severus. Wow, we are really here! 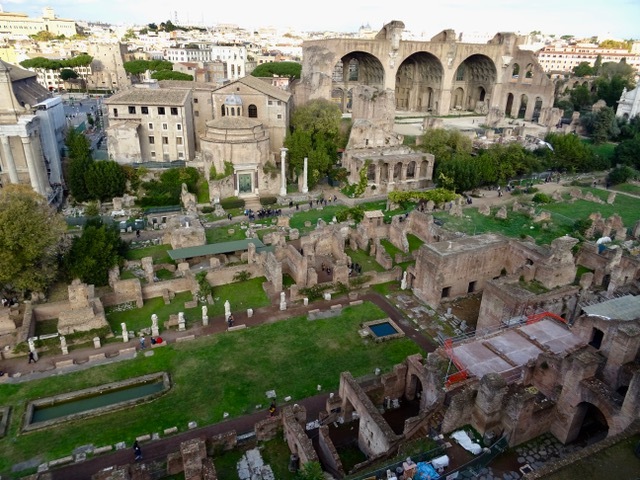 Hard to believe we are standing where Romans lived and walked over 2,000 years ago. 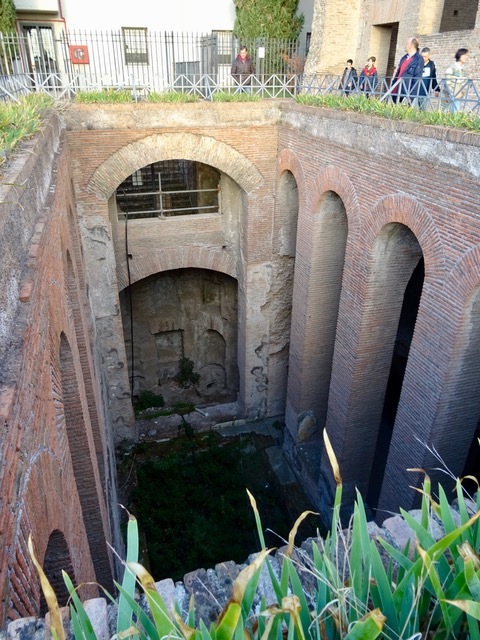 The courtyard of the Vestal Virgins. Girls were chosen at the age of ten and served until they were forty when they were handsomely rewarded and allowed to marry. However, if a woman lost her virginity, she was given a loaf of bread and then buried alive! Apparently this was not an uncommon occurrence. 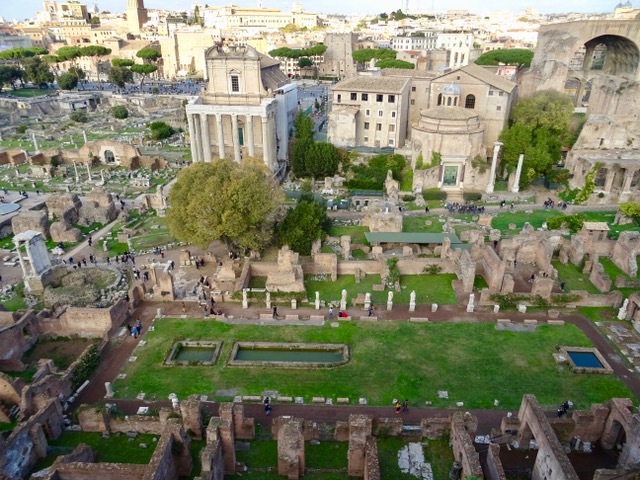 People standing on the Palatine overlooking the Forum. 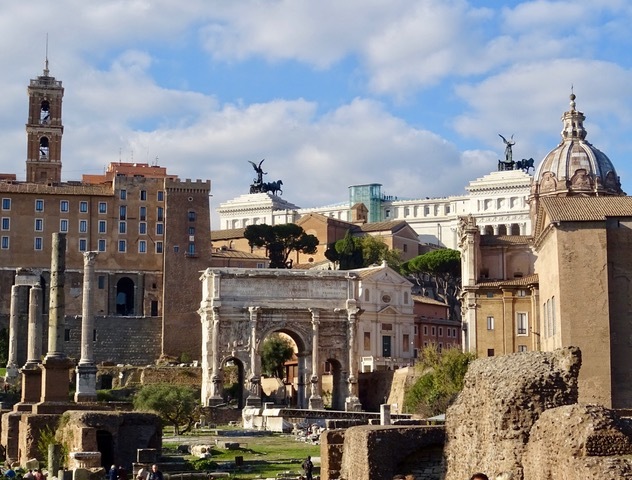 I want to go to the top of the white building with the two big statues on it for a great view of Rome. We will have to check that out another day. 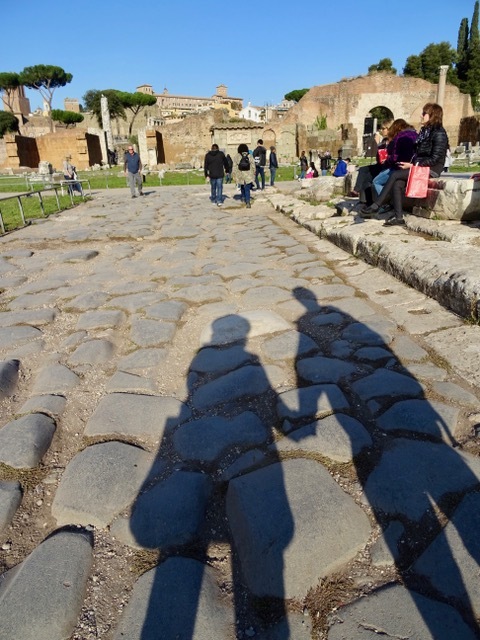 These are the original 2,000 year old stones that still pave the streets of the Forum. 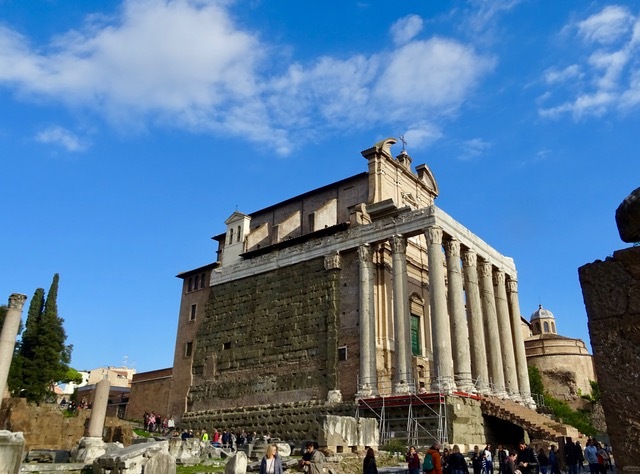 The Temple of Antonius and Faustina is now incorporated into the church of San Lorenzo. 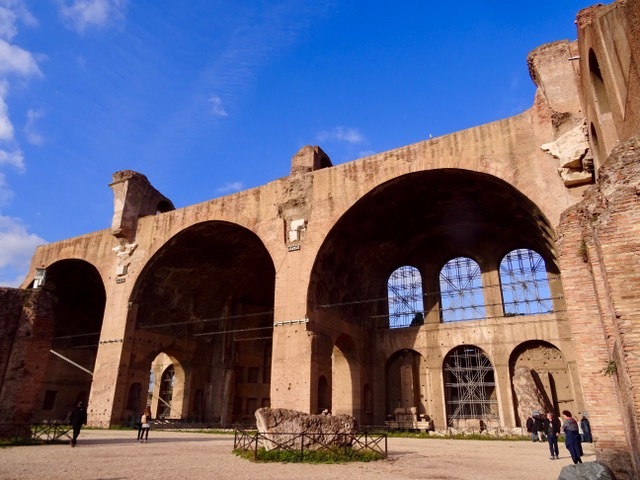 This is the side nave of the Basilica of Constantine and Maxentius. 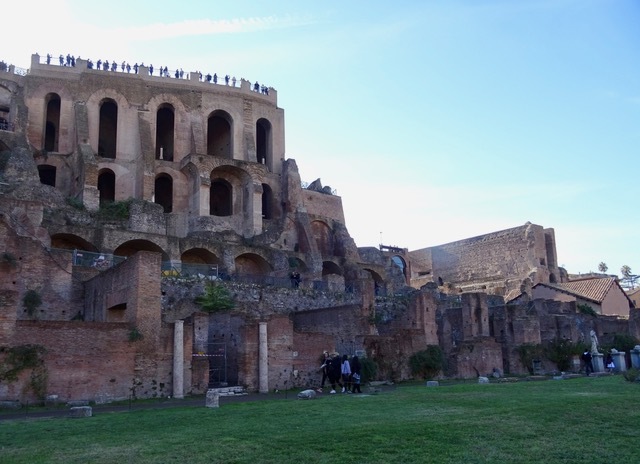 The largest building in the forum, it was as big as a football field but only one wall of it remains. 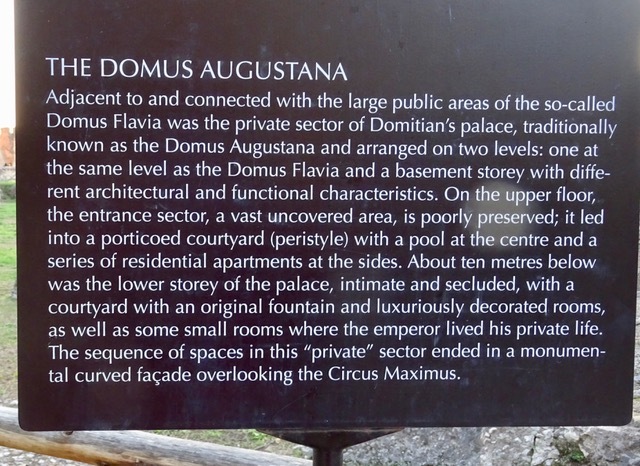 A Basilica was not a church but a place used for the administration of justice and conducting business. 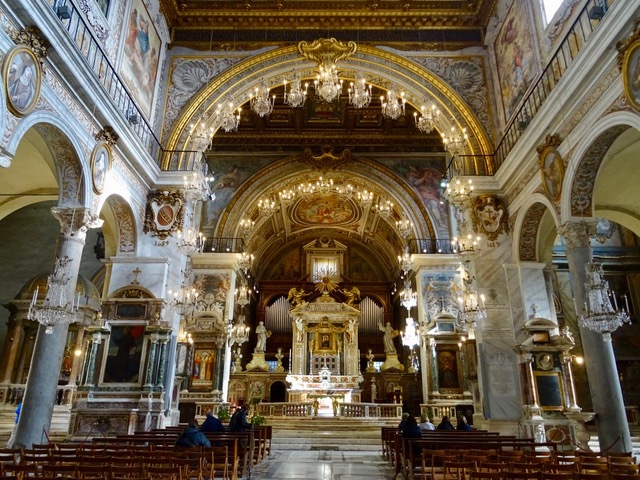 It did however become a model for the great cathedrals and basilicas of Europe. 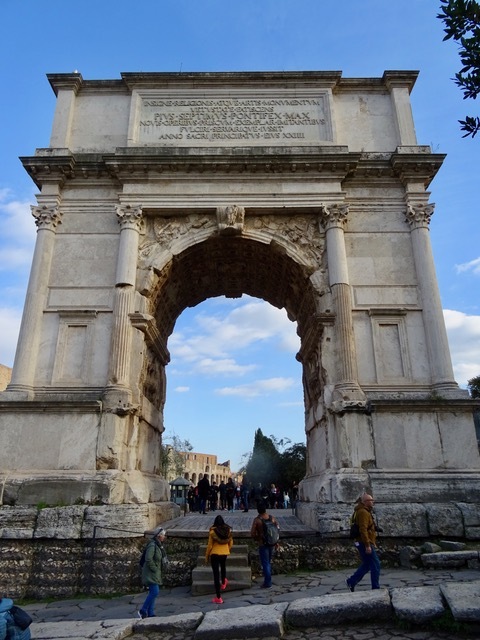 The Arch of Titus erected in 81 AD to commemorate the sacking of Jerusalem. 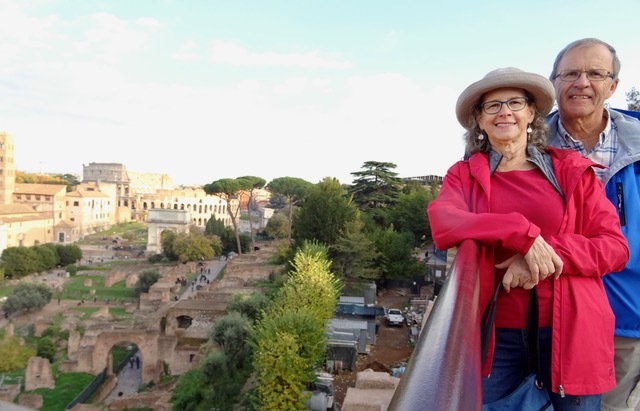 A panorama of the forum… and a selfie with the Colosseum in the distance. 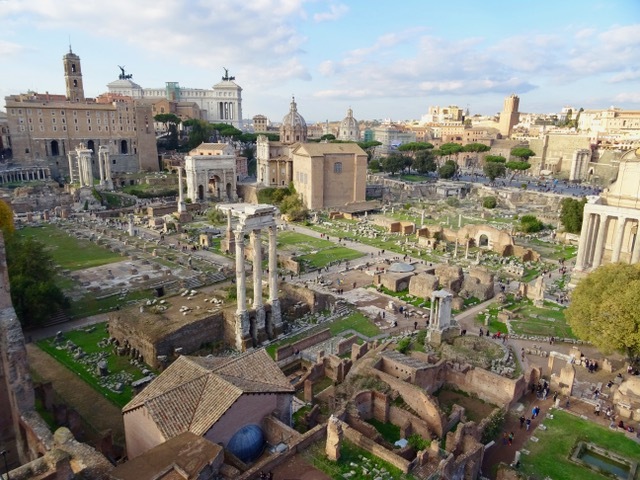 These three photos give a better look at the forum, starting at the north end… the centre with the gardens and house of the Vestal Virgins,,, and the south end with the huge Basilica of Constantine. 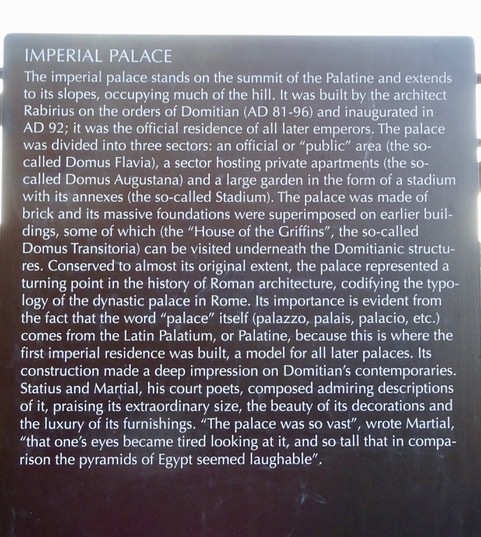 OK, I am including these Palatine (Imperial Palace) info panels to save lots of writing. 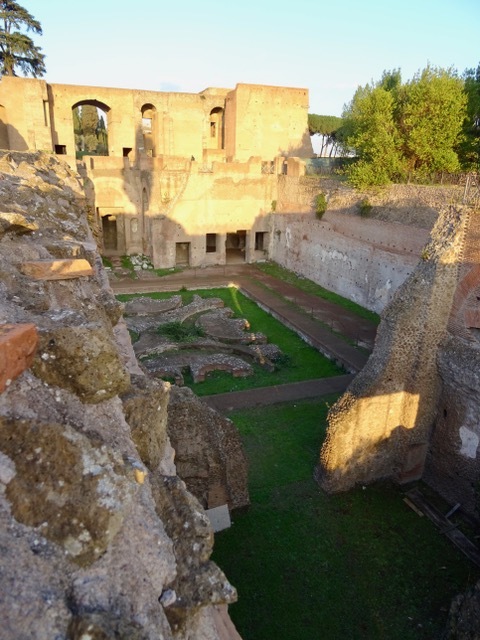 We were only able to see some of the Palatine as it was late in the afternoon and the site was closing. 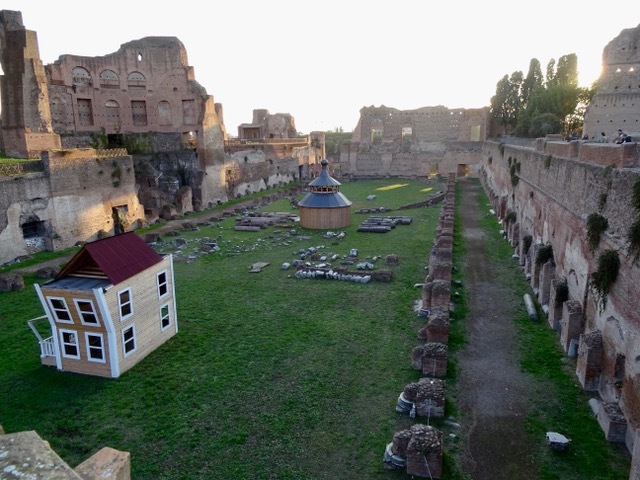 No idea what the two little houses were about. 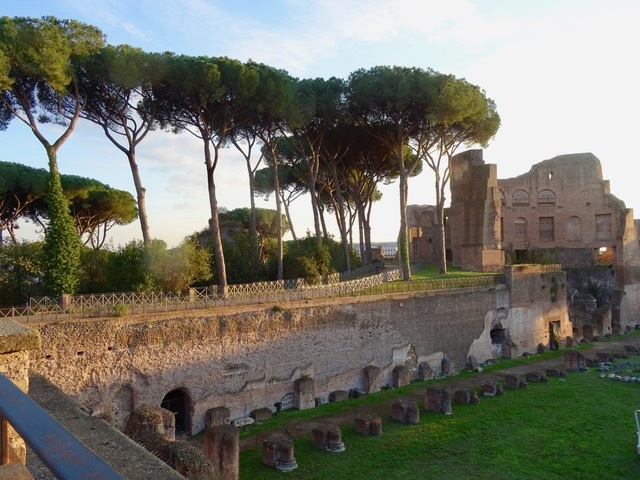 I love the tall pruned coniferous trees we see here and all over Rome. 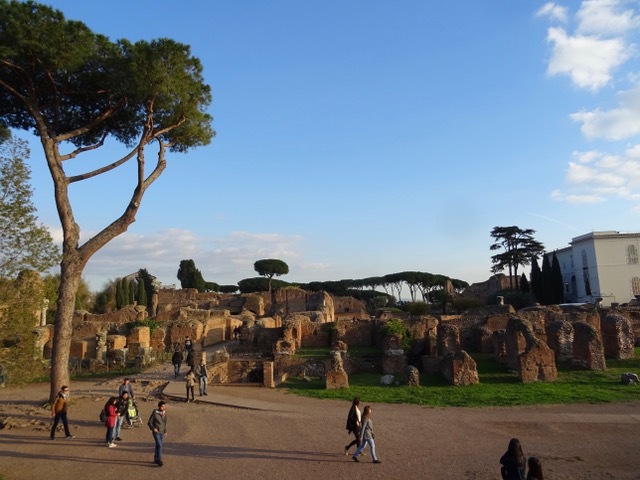 We catch the bus home near the Colosseum. 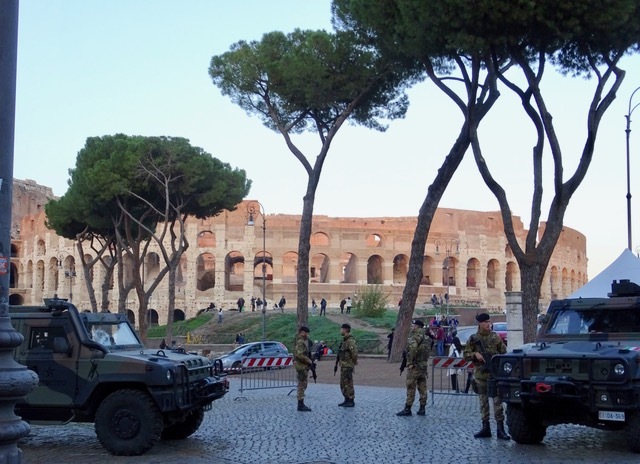 There is a strong military presence everywhere in Rome, by all the major sites and in the Metro stations as well. I don’t mind having them there.